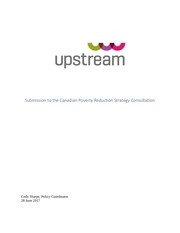 This PDF 1.3 document has been generated by Preview / Mac OS X 10.11.2 Quartz PDFContext, and has been sent on pdf-archive.com on 18/09/2016 at 19:25, from IP address 92.186.x.x. The current document download page has been viewed 599 times. File size: 922 KB (108 pages). Chapter II: Extreme Poverty as a Human Rights Violation. continues to have a deep and devastating effect in our societies, with no visible end in sight. technological progress and the development of human rights discourse and institutions. Chapter II will focus on the conception of extreme poverty as a human rights violation. ambiguity which could implicitly point in this direction. Amartya Sen's capability approach and Henry Shue's conception of basic rights. discussion, to which I hope this investigation makes some sort of contribution. 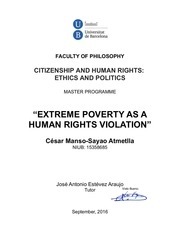 Chapter I: Extreme Poverty and Human Rights. 1. Conceptual Approach to Extreme Poverty. Spicker, Paul. (2007). 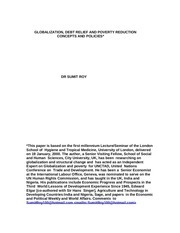 “Definitions of Poverty: Twelve Clusters of Meaning” in Poverty: An International Glossary, pp. developing world.”7 I justify my scope under the same premise. Cruz, Marcio et al., (2015). Op. Cit., p. 21. This file has been shared by a user of PDF Archive. Document ID: 00484268.